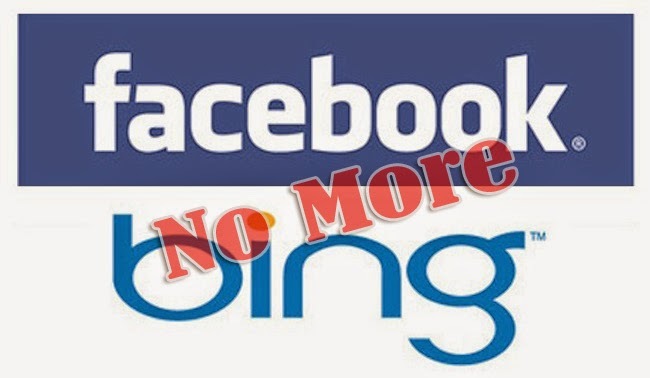 Facebook seems to have bid Bing farewell as its primary search engine provider and resorted to having their own search tool as announced on December 15, 2014. Facebook is currently developing a search tool that lets users look around some old comments and information about friends. According to Reuters, Facebook had been developing a search engine for quite some time now and Bing was only used as their extra search tool that gives information about any user’s interests beyond the scope of Facebook. This keeps their rival Google out of the system. The Facebook spokesperson shared to Reuters that the search engine built by Facebook is focused Facebook results rather than the web results. It helps the users find things being search in Facebook including comments and friends information. Microsoft is also still in partnership with Facebook in other different areas. The statements of the Facebook spokesperson was also the same with the Microsoft. Microsoft explained Facebook concentrates more in the scope and boarder of Facebook. This makes shared information between their users easier to find without other results coming from the web results. The Facebook search tool will admittedly will be facing many challenges as there are more than one Billion Facebook users with a pool of over a trillion posts since it had been founded by Mark Zuckerburg. It has been reported that during the analyst conference call in July, Zuckerberg was reminded by his search engineers that Facebook is one of the biggest search corpus. It is indeed a challenge to build a search engine for a social media with growing content every day. Special moments in a person’s life has been posted everyday and comments keep on flooding by the minute if not seconds. However, a search engine tool made specially for Facebook may be a step for the better and bring more ease for the users which also grew in number for over a decade.